Many fisherman believe beavers are bad for native cold-water fishes such as trout and salmon. 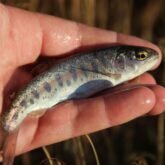 They will claim the dams create obstacles to fish movement, sediment buries fish eggs that need oxygen, and the ponded water is warmed by the sun to the detriment of cold water fishes. These are all reasonable assumptions, so beavers must be bad for trout and salmon, right? WRONG! 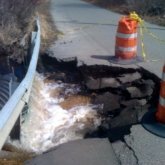 Research has shown that in most cases streams with beaver dams actually produce larger and more numerous native trout and salmon. Water is essential to life. 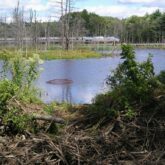 Where water is scarce, beavers can help. 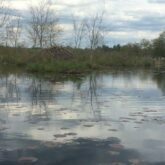 Beaver dams store water when it is plentiful and slowly release it during dry periods when it is needed most. Beavers perform this important life supporting service naturally and for free. 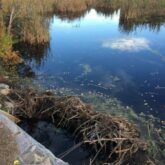 In the absence of beaver dams, erosion degrades streams and watersheds resulting in poorer water quality, quantity, and loss of biodiversity. 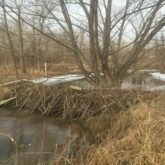 Streams with beaver dams actually recover from the destructive effects of erosion and healthy watersheds can be restored.